The European Union ended Monday with the institutional veto it has applied for 20 years to Cuba. 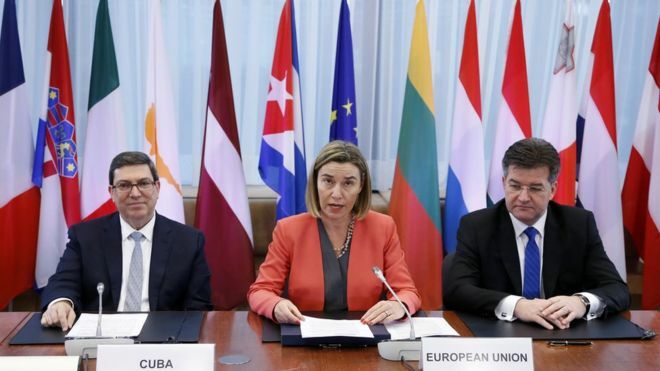 EU Foreign Policy High Representative Federica Mogherini, Foreign Ministers of the Twenty-Eight and Cuban Foreign Minister Bruno Rodriguez signed a bilateral agreement that normalizes relations and sets a framework for dialogue for the first time And cooperation between the two territories. After almost two years of negotiations, the agreement repeals the so-called “common position”, promoted in 1996 by the then Spanish Prime Minister José María Aznar, which conditioned the negotiations on democratic and human rights advances on the island. The European Union called on the Cuban government to respect human rights and carry out economic reforms to improve living conditions on the island. These petitions are part of the new “common position” on Cuba, approved Monday in Brussels by the European Ministers of Foreign Affairs. In the document, the European Union reiterates that its “objectives” in relation to the island are respect for human rights and fundamental freedoms, the transition to a democratic system and the implementation of economic reforms. The Venezuelans have three days from this Tuesday to exchange in the state financial institutions their 100 bolivars, the highest denomination in Venezuela, after the publication of the respective presidential decree in the official gazette. The rule was issued within the framework of the state of emergency and economic emergency decreed by Venezuelan President Nicolás Maduro, which has been in force since the beginning of the year, as an “urgent measure to guarantee and defend economic stability”, according to gazette. The decision was made by Maduro last Sunday to deal with alleged Colombian mafias that store paper money to destabilize the country’s economy. After an exhaustive investigation, it was determined that there are stores not only in several cities of Colombia but also in Brazil, Germany, the Czech Republic and Ukraine, where mafias are accumulating Venezuelan bills, according to the official version. 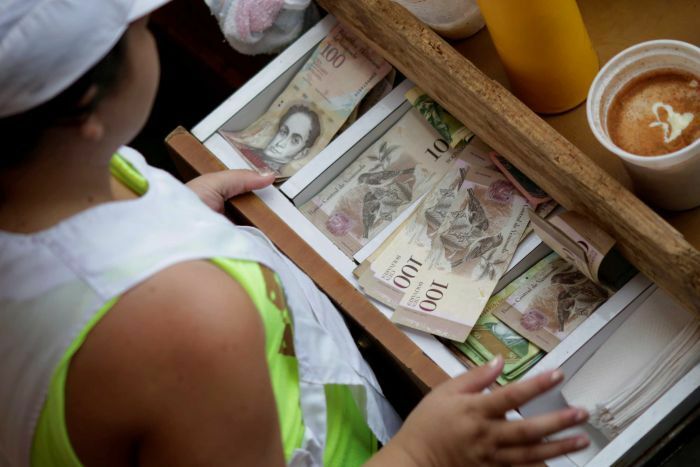 “An unscrupulous sector enemy of the Homeland has undertaken a strong attack against the Venezuelan currency applying illegal methods of hoarding and extraction of legal tender paper,” reads the official text. It blames that same “sector” of inflation in the Caribbean country, whose figures have not yet been revealed by the Central Bank of Venezuela (BCV), but which economists predict is one of the highest in the world. The 100 bolivars that go out of circulation can be exchanged in public banks for other denominations that remain in force, such as those of 50, 20 or 10 bolivars; While those who fail to be changed will lose their power of payment, says the presidential decree. But in the latter case, Venezuelans will have ten more days to go to the box offices arranged by the BCV to exchange their tickets. It is expected that in the coming days a new family of banknotes will progressively replace the current one and will have as its denomination the 20,000 bolivars.